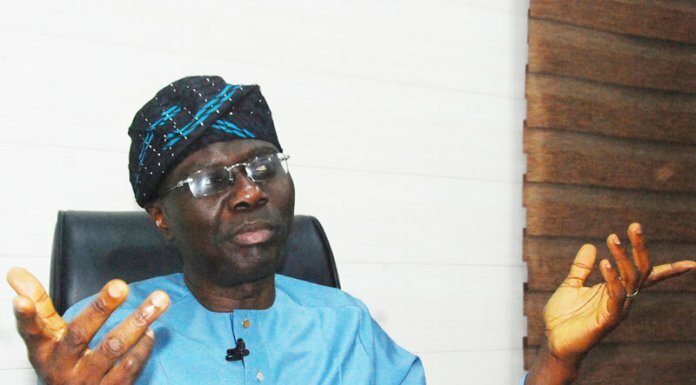 Concerned with the seeming slow pace at which some critical road projects are being executed in Lagos State, the governorship candidate of All Progressive Congress (APC), Mr. Babajide Sanwo-Olu has said the construction of Fourth Mainland Bridge would not his priority if elected. He noted that the project â€œhas two major intermodal transport schemes namely; the Lagos-Badagry Expressway and the Light Rail Mass Transit with their accompanying infrastructure- 10 lanes superhighway taking off from Eric Moore interchange and traverses westward through Orile Iganmu, Alaba Oro, Mile 2, Festac, Agboju, Iyana Iba, Okokomaiko, Iyana Era, Ijanikin, Agbara, Ibereko and terminated at Badagry. â€œJust like the Badagry Expressway, Lekki-Epe axis is also critical, in view of the ongoing enormous development taking place in the axis, there is need to review the issue of Fourth Mainland Bridge. â€œFor now, the project must be put in abeyance, because technical reports from experts revealed that the volume of traffic along the axis cannot cope with additional ones that the 4th Mainland bridge will engender. â€œLagos population is humongous, despite her being the smallest State in Nigeria with a land area of 3, 577 square kilometres. This translates that it occupies a paltry 0.4 per cent of total land area of Nigeria, which is 923,768 square kilometresâ€, he said, adding that Lagos has more than two million vehicles on her roads, out of about12 million vehicles on the Nigeria roads as a whole. He assured that their plan will be to expand and improve on existing infrastructure project. â€˜Government is a continuum and we will continue with existing projects to the benefit of Lagos. Our focus remains â€˜Towards a Greater Lagos: A Collective Effortâ€™, he added. To this end, Lagos APC deputy gubernatorial candidate said their government will would work with an acronym: â€˜THEME.â€™ â€œOur Promise to Lagosians is â€˜THEME Lagos.â€ The pillar includes traffic management and transportation; health and environment; education and technology; making Lagos a 21st Century economy; entertainment and tourism.